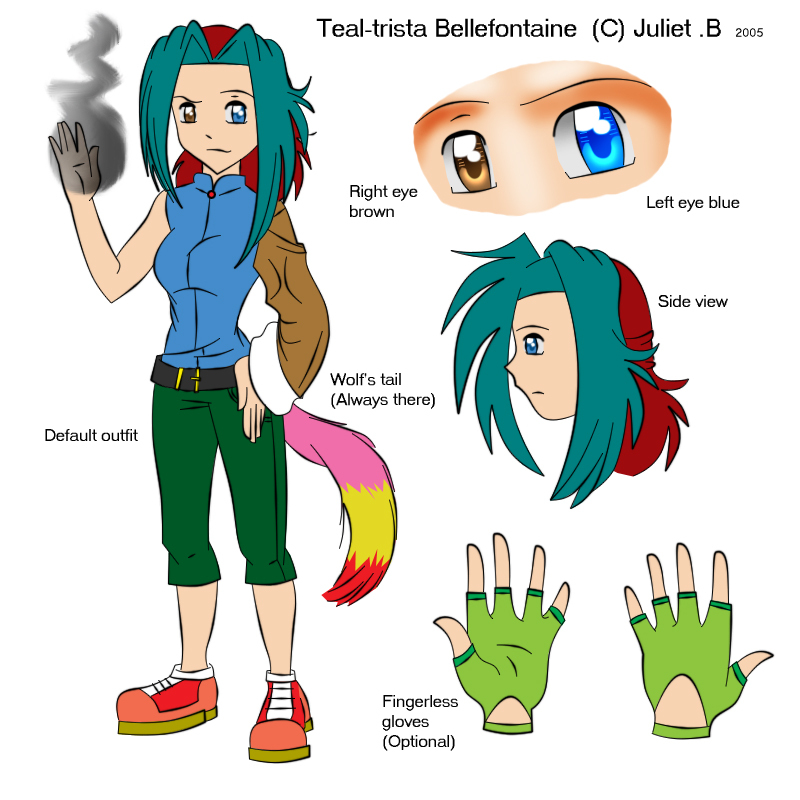 INFO: After working as a professional assassin for 2 years for Densetsuno Corporation in Japan, Teal moved to back to her birth place, England, and became a student. But after word that her best friend, Raigani Lee, had been kidnapped, Teal set off to Void City to look for her. Teal is a happy, jolly person, and even in a battle, she will always say pleasant things to her opponent to lighten the mood. 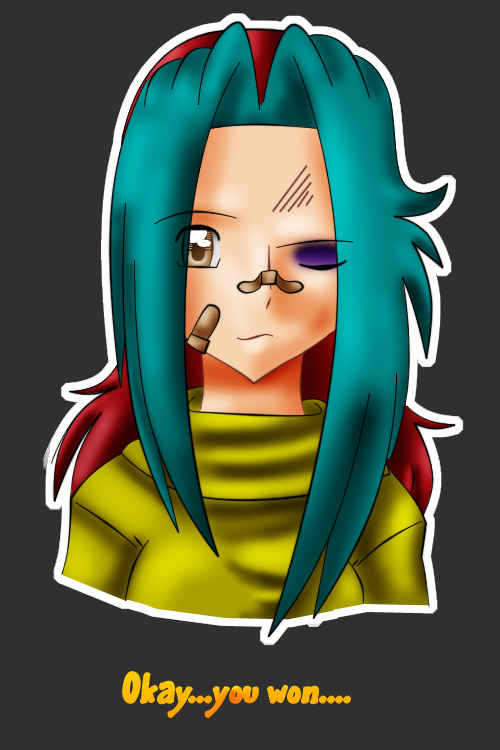 Teal has no particular fighting style, but prefers to make it up as she goes along. ABILITES: Teal has the ability to manipulate smoke. She can create it from carbon dioxide (in other words, all she has to do is breathe it out), and mould it to her will. From smoke she can mould it into swords, shields, bombs, e.t.c. 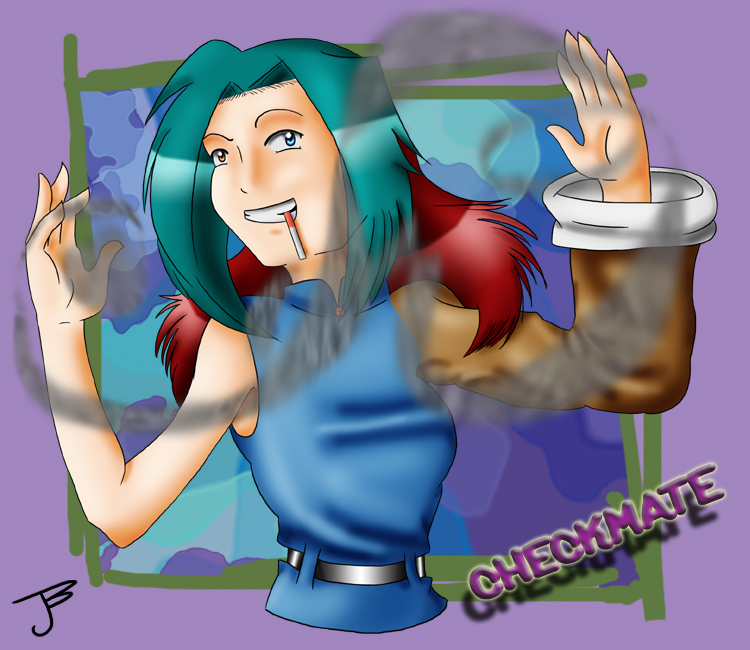 To sustain her smoke manipulation ability, she is a chain smoker, and is often seen smoking. This is her main form of attack apart from her Mononoke Mode.